The House of Staunton is proud to carry on the tradition of crafting the world's finest Staunton pattern chess pieces. We offer plastic chess pieces, wood chess pieces and even themed-chess pieces. We have a set of chess pieces that's perfect for you! Nothing can heighten your chess-playing experience more than the feel of a finely crafted set of House of Staunton wood chess pieces. We invite you to discover for yourself why our wood chess pieces are the first choice of chess collectors everywhere. Under the guidance of the Maestro himself, Frank A. Camaratta, Jr., The House of Staunton has firmly established itself as the gold standard of luxury chess pieces. With an unmatched artistic flair and unwavering commitment to quality, our luxury chess pieces are highly sought after by collectors and players alike. (Pieces Only) Looking for the perfect luxury chess set? You've come to the right place! The House of Staunton has been meeting the needs of quality conscious chess players by offering the world's finest luxury chess sets. Our selection is unrivaled and we invite you to browse our selection. When discerning chess collectors think of chess sets, their brand of choice is the House of Staunton. First introduced in 1849, The House of Staunton has proudly carried on the Staunton pattern chess set tradition and now proudly offers more styles of chess sets than any other company in the world. (With Board and Box) The House of Staunton is the world's premier manufacturer of wood chess sets. Each of our wood chess sets is handcrafted out of the highest grade woods by our skilled artisans and adhere to the highest quality control standards in the world. Not quite sure which chess board goes best with a particular set of themed chess pieces? Let us pick it for you! Our themed chess sets ensure a perfect match and takes the worry out of buying a themed chess set. Whether your looking for a set of Staunton bone chess pieces for traditional play or a artistic set of bone chess pieces to decorate your house, you'll find them at The House of Staunton. We are the internet's leading bone chess piece retailer. (Pieces Only) Buying plastic chess sets can be a little intimidating. 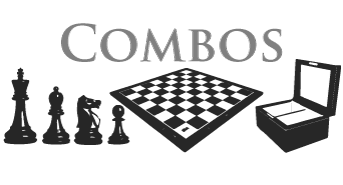 We invite you to contact us and allow one of our highly trained chess set specialists to help you find the plastic chess set that is perfect for you. The House of Staunton is proud to offer the widest selection of plastic chess pieces in the world, including our best selling Collector Series, Marshall Series and Hastings Series plastic chess pieces. Elevate your chess game to the next level with a set of quality plastic chess pieces - Exclusively from the House of Staunton. The House of Staunton is your #1 source for Studio Anne Carlton themed chess pieces. 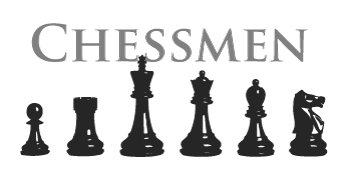 We offered an incredible selection of themed chess pieces, some of which aren't available anywhere else, at our everyday low prices. The House of Staunton offers the world's finest luxury wood chess boards for the discerning collector. You won't find a finer luxury wood chess board anywhere in the world. Why settle for less when you can own a House of Staunton luxury wood chess board? The House of Staunton is proud to offer the world's finest wood chess boards. Our wood chess boards adhere to the highest quality standards in the industry and will endure many years of use. We invite you to experience the quality difference at the House of Staunton. 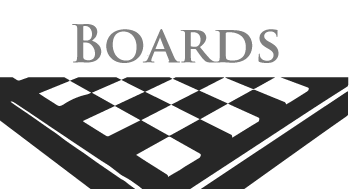 Whether you're looking to purchase inexpensive vinyl chess boards for your local chess club or a beautiful wood chess board to give as a gift to that special Chess player in your life, The House of Staunton has the right chess board for any occasion. During the first half of the 19th century, a surge in the global popularity of chess brought about the demand for a uniform model of chess pieces. While the variety and styles of chess pieces that were in use at the time were extensive, they were decorative in nature and considered unsuitable for play. It is important to remember that chess has historically been enjoyed by the wealthy, a fact that is reflected in the artistic designs of chess sets that dominated the marketplace. While aesthetically beautiful, the chess pieces of the period were not very practical. The chess pieces were expensive to produce, cumbersome to use, prone to tipping over and had such ornate details that they were unable to withstand the wear and tear of regular use. However the greatest disadvantage of these chess sets was the lack of uniformity of the pieces within a chess set - a player's unfamiliarity with a particular chess set could affect the outcome of the game. Complaints such as these led to the search for a standard design of chess pieces. On September 1, 1849, #58607 - An Ornamental Design for a Set of Chess-Men was registered by Mr. Nathaniel Cooke under the British Ornamental Designs Act of 1842. Our research has lead us to conclude that the basis for this new design of chess pieces was the Northern Upright Chess set. Complaints about the contemporary designs of chess pieces were well established in chess circles. By starting with an extremely popular yet highly artistic chess set, Mr. Cooke was able to focus his energies solely on correcting those deficiencies. The ornate features that were most susceptible to damage were removed, resulting in a chess set that was durable and less expensive to produce. The diameter of the bases was widened for increased stability and the chess pieces were weighted with lead to minimize tip over. Before the commercial launch of these new chess pieces, Mr. Cooke convinced Howard Staunton to lend his prestigious name to the new design. Mr. Staunton was England's most celebrated Chess personality and the unofficial World Champion. The Staunton Pattern Chessmen, as they were officially known, became commercially available on September 29, 1849 and quickly became the world standard of chess pieces. Their lower production cost brought chess to the masses and did much to popularize the game. Its clean, simple design has never been equaled - the Staunton Pattern chess set looks as modern today as it did upon its introduction more than 150 years ago. The House of Staunton is proud to carry on this tradition by producing the finest Staunton Pattern Chess Pieces and Chess Sets.